This was a feeling in work to get something I actually wanted and well Mechindal Keyboards are a trend, from the clicking sounds on Torchy's Blackwidow, it made me want to find a good value mech with the MX blue and well, Gamdias I've heard of before so it was time to really explore and the Value on Christmas weekend was good, So I bought 2 for work, both struggled to sell and my time to try one was upon me. The value of this does change over time, but its a good value. 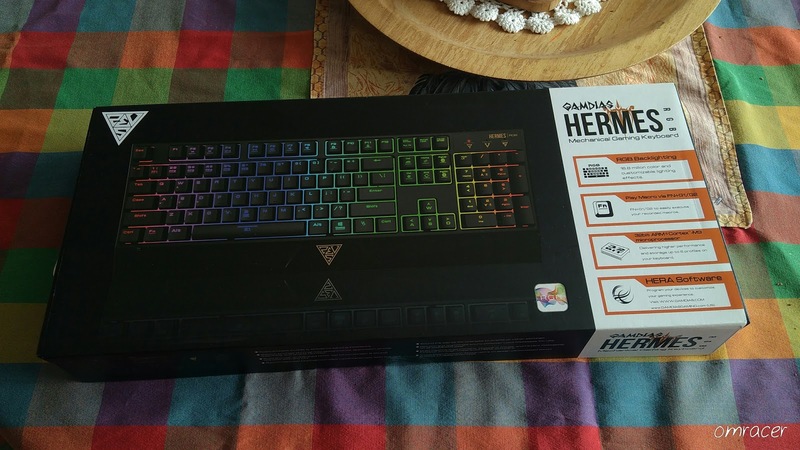 Enjoy the Review. 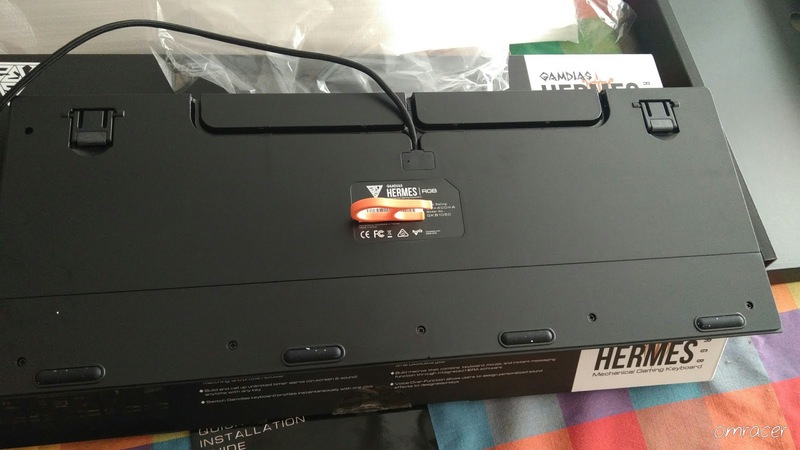 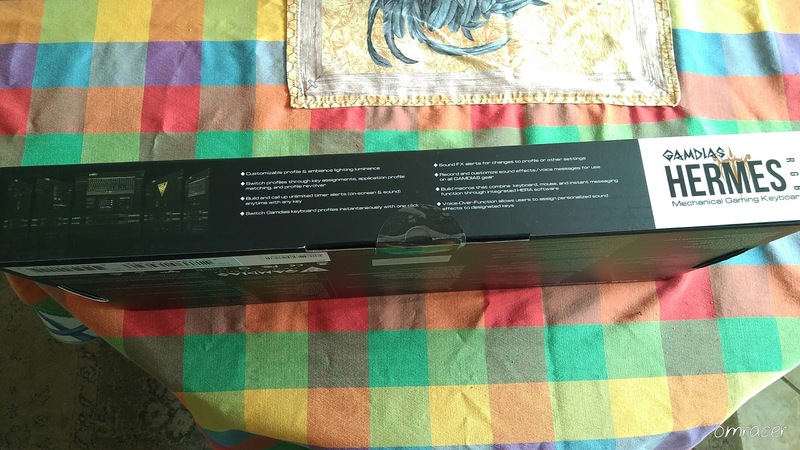 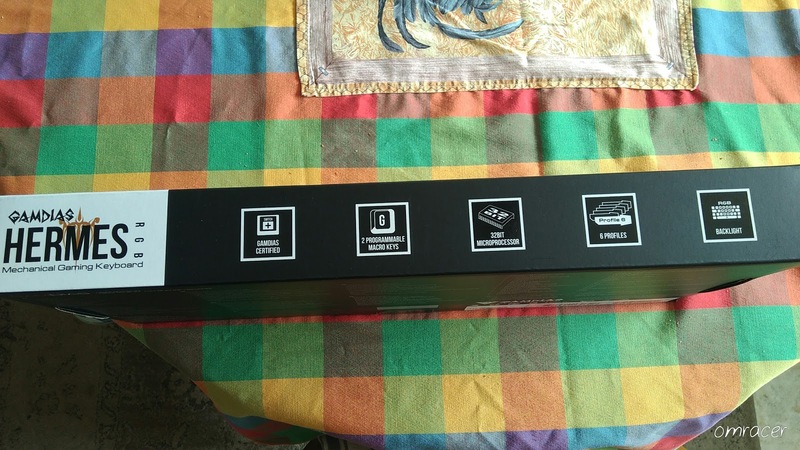 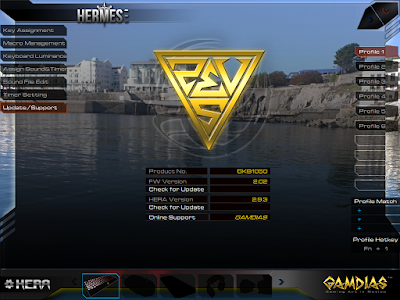 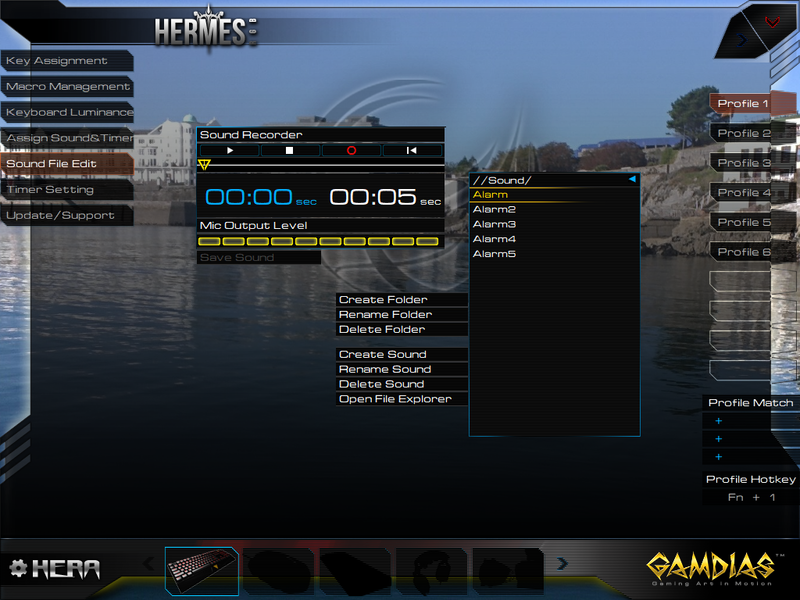 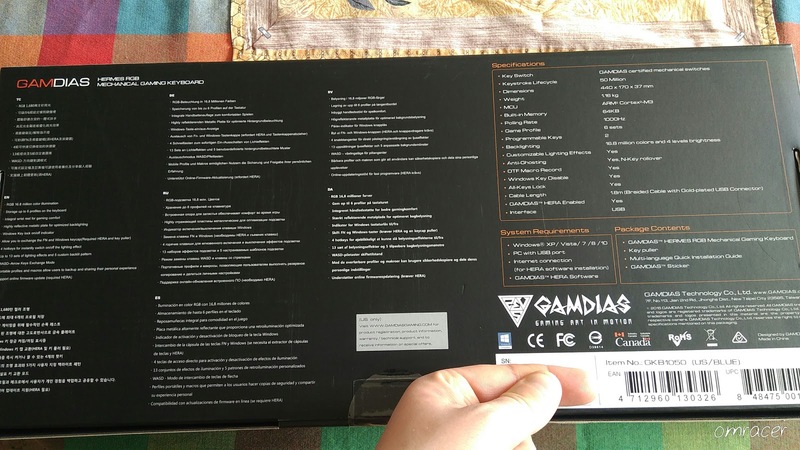 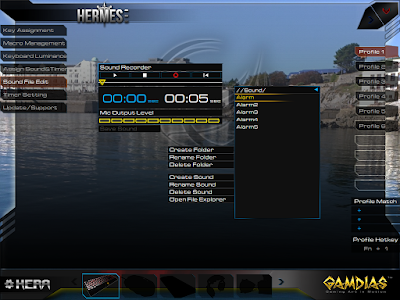 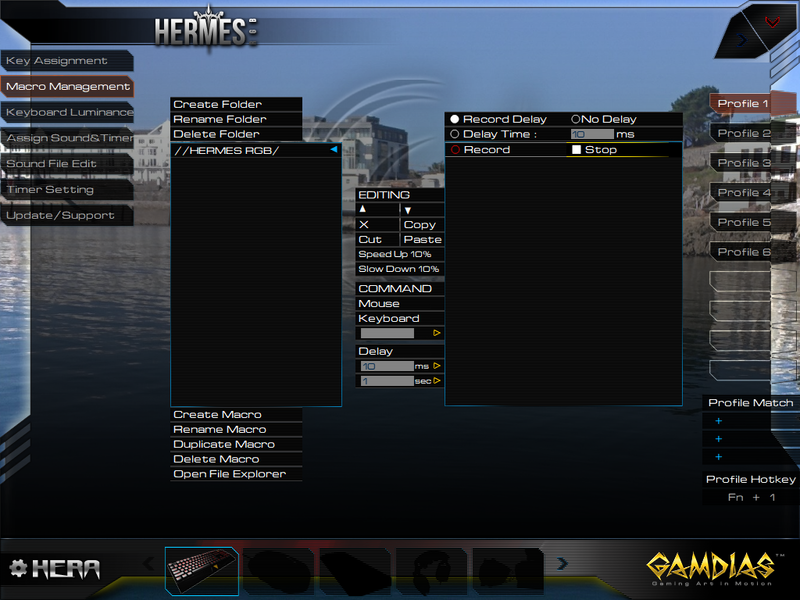 The box is clear, professional and nicely laid out, the keyboard in full view on the front, the main features on the right-hand side, the sides have more features and the Gamdias logo, the back is full of the specs in different languages and even the tech specs and barcodes. The back of the box. Then we have to use a sharp knife to get this opened, then in front of me was the keyboard in the opaque cover, which was then the way to lift it up and then the cardboard lifts up and the sticker, manual and key remover. 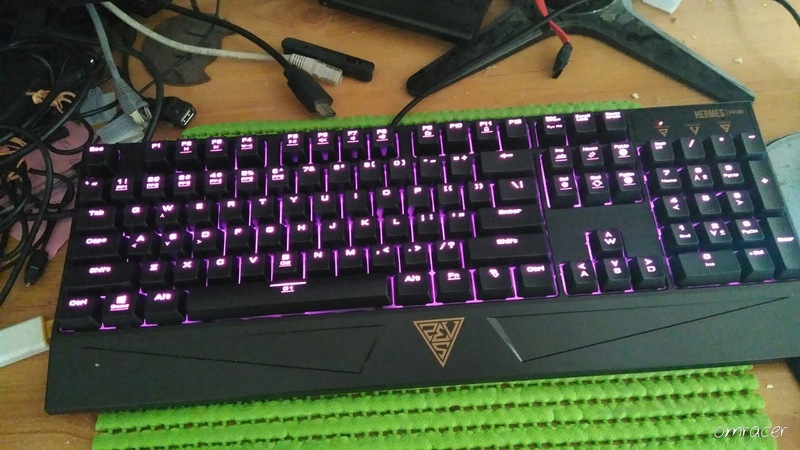 But it was a heavy keyboard indeed. 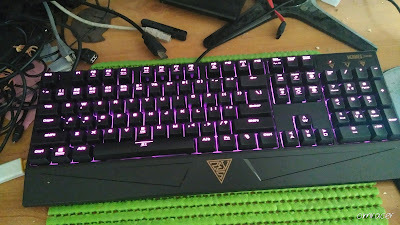 The Keyboard was amazing, like heavy and also the cable was much longer than the Nemesis Kane Pro. 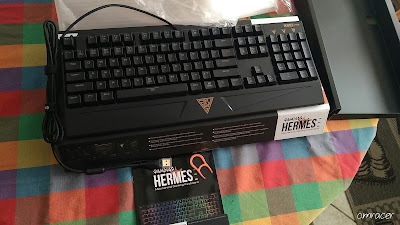 Which that keyboard was responsive but was getting dirty, broken and that sound and colour was boring now. 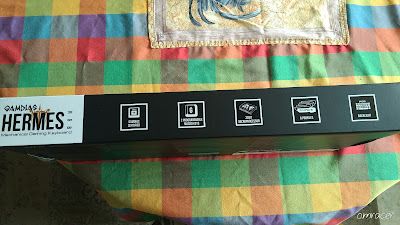 But the cable tidy's were amazing as well. 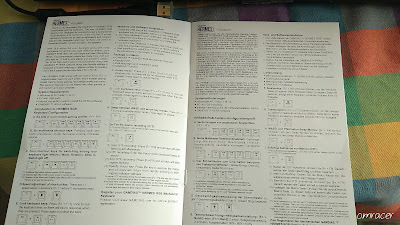 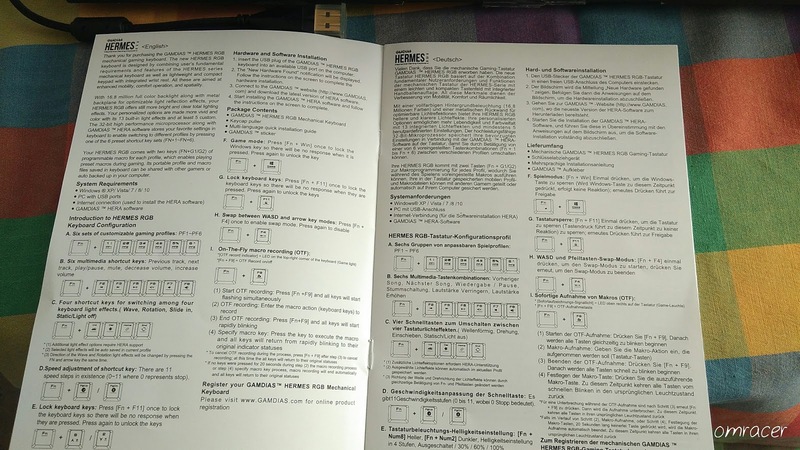 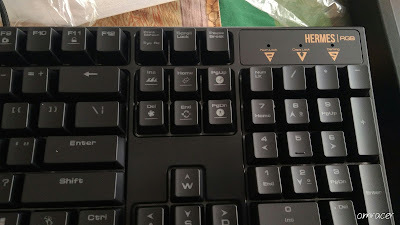 The guide had some notes on what keys to press for different functions as well which gives a good indication on what to do with the keyboard, the keys can be self-explanatory as well. 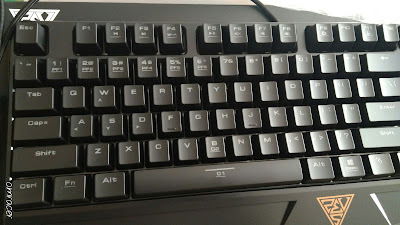 A look at the keyboard. 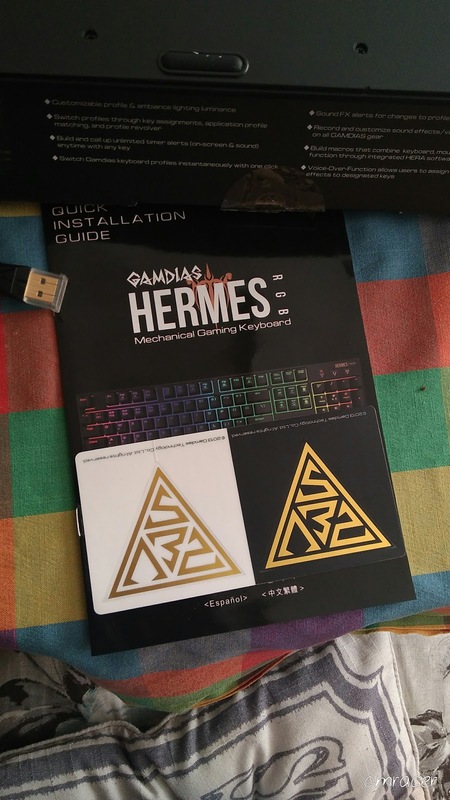 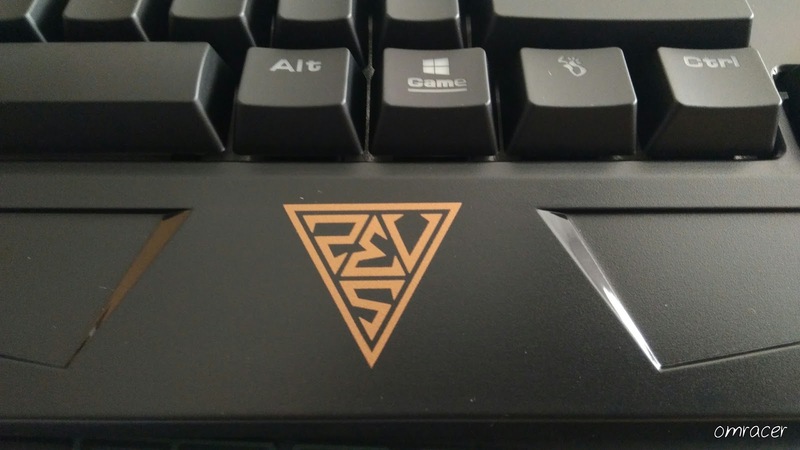 The gamdias logo underneath the keys on the wrist rest. So it was then time to actually get it plugged i, which actually on my Steambox, was to get old Nemesis Kane out of the way. 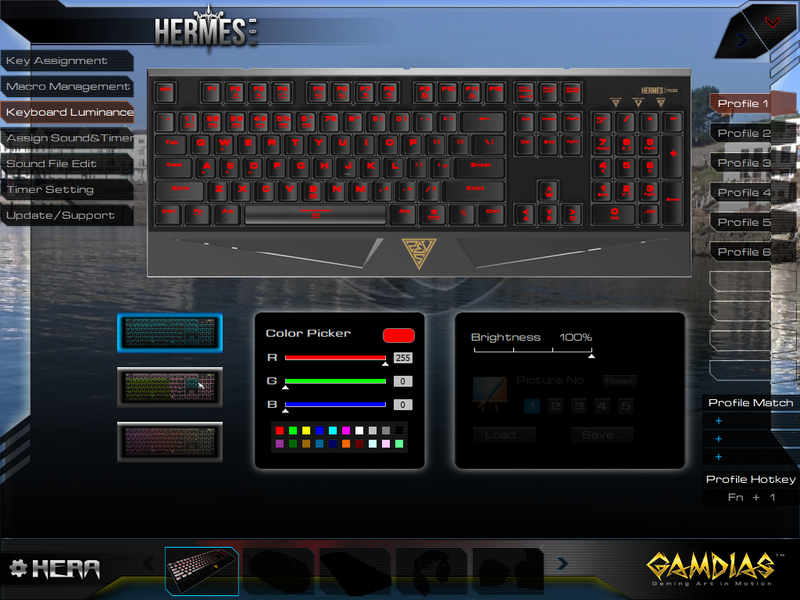 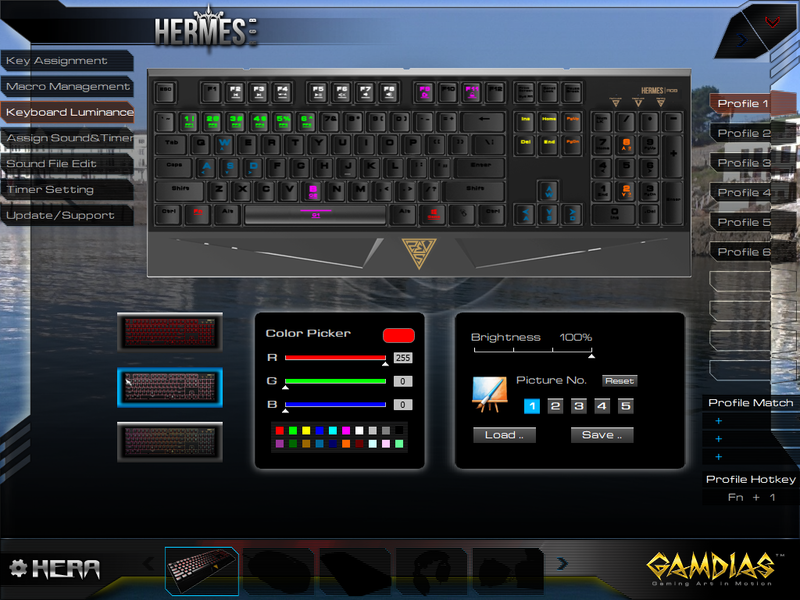 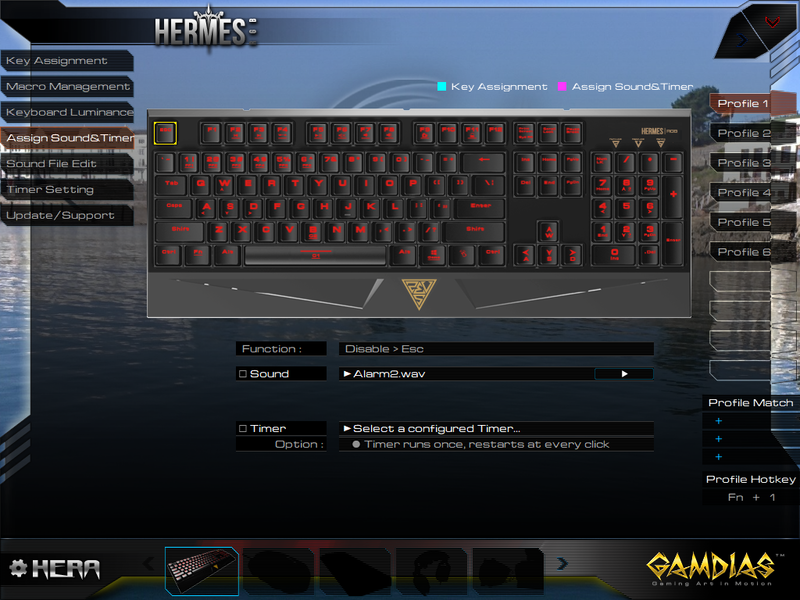 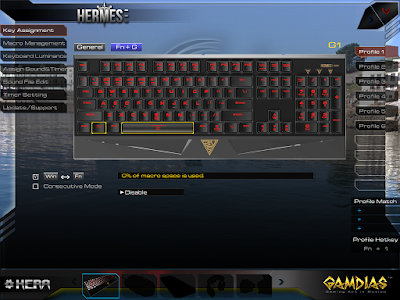 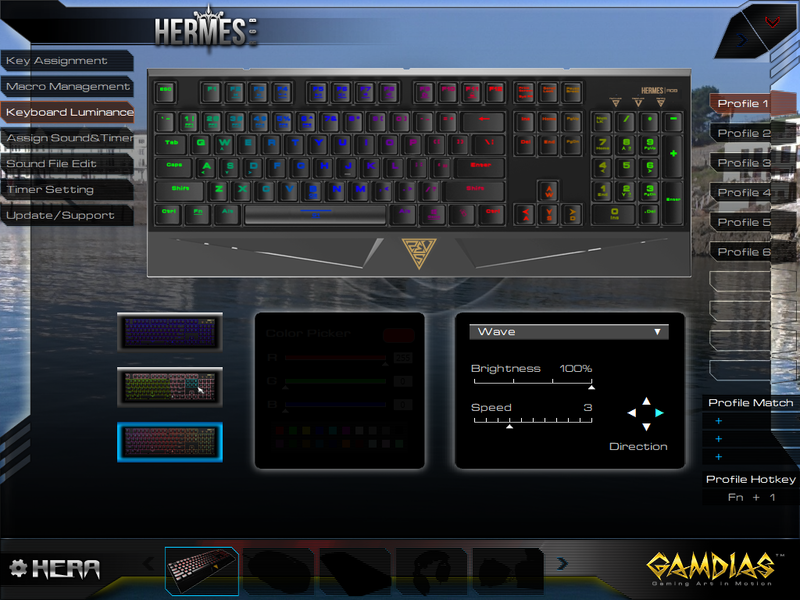 Which the Kane was actually a bigger keyboard and some bigger keys, it was also not the best on the effects for playing games and the LED were quite meh, but now the Hermes can change to all the colours I want it to. 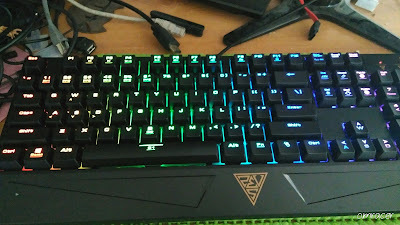 So it was connected up, at first it did disconnect when I pressed the FN + F11 end but reconnecting it and worked nice and proper. 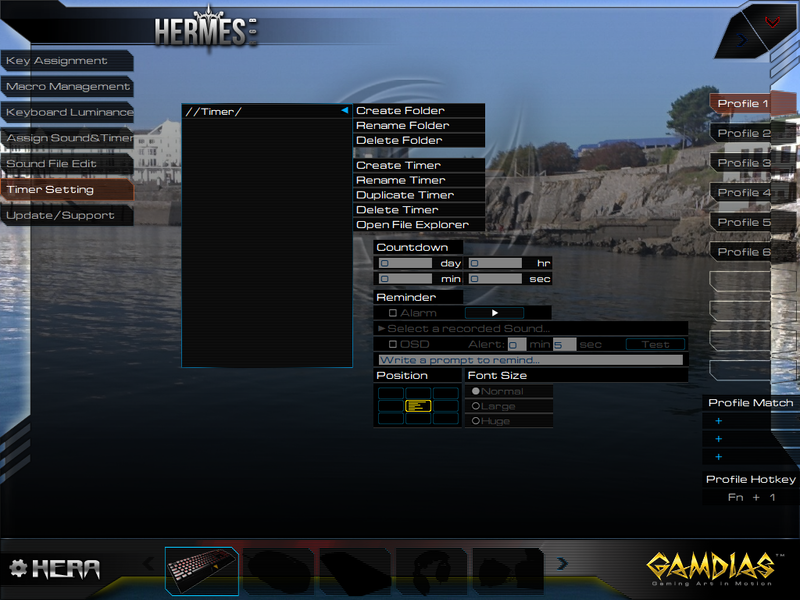 But then it was time to install the HERA software (Windows only sadly), it was a quick way to really get into the vibe, sure it uses google drive to download but it was quick and easy to install, though you need admin privileges to appear on startup every time which can be a pain, maybe there's something with the Hermes pass server that we don't know about, but oh well. 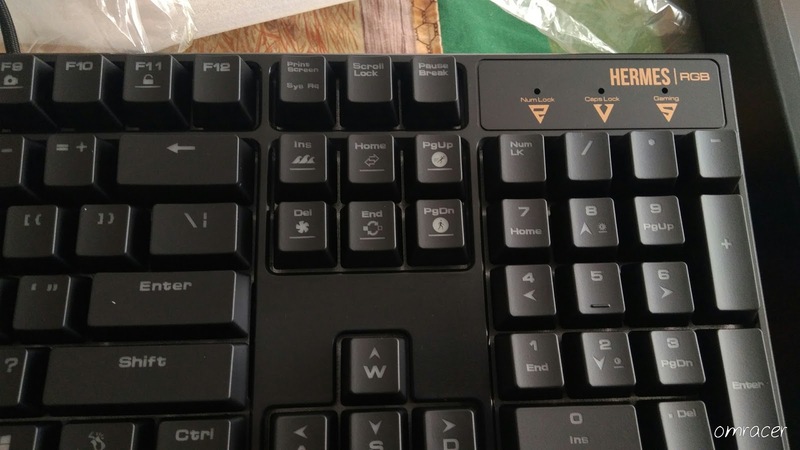 But the software shows you what the keyboard does nicely. When typing the clicks actually make it accurate minus my clucking fat fingers and quite responsive too. 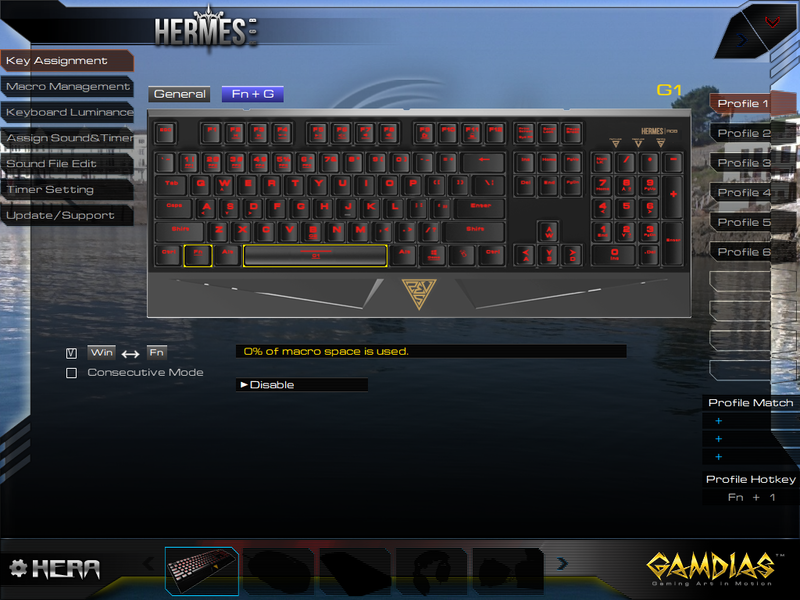 Also it's ideal for rapid key pressing, like 3 million on Los Angeles shark from that which is pretty good. Its a great keyboard and at the time, amazing value and almost even half price compared to the US pricing. 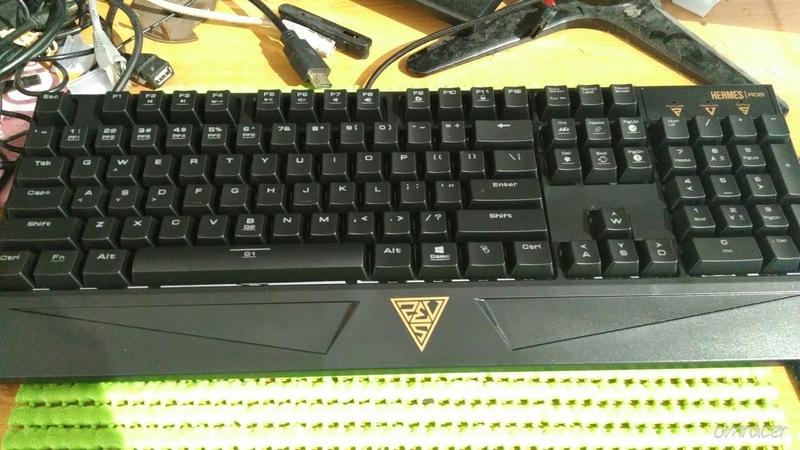 Sure the keys might be smaller and a bit stiff to remove to swap but it makes thing easier and also the macro is handy for games to map the keys easier. 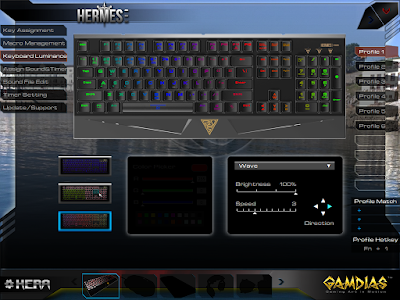 The lighting makes it easier to get things done like from the cool effects to even getting the keys you need lit up. HERA is posh and unsure to the real reason it needs the internet minus FW updates but it's worth using, maybe ideal for mac for some peoples sadly they cant use the HERA software. 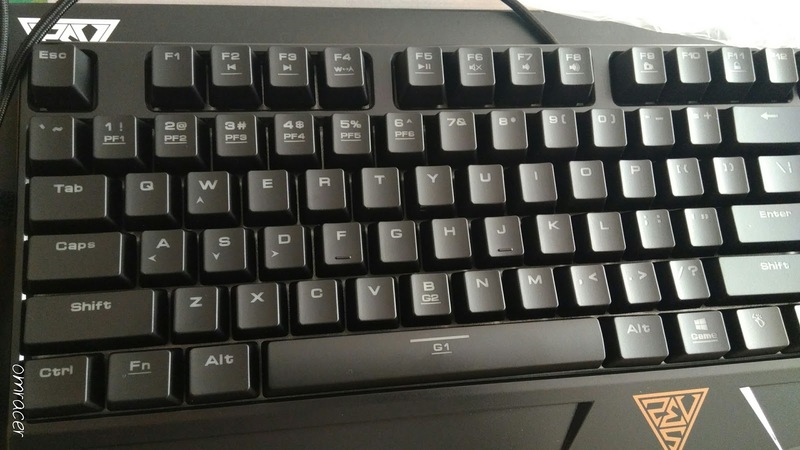 Keys can be quite small for chubby fingers. More reviews might come soon but there will also be more blog posts if I get the time.